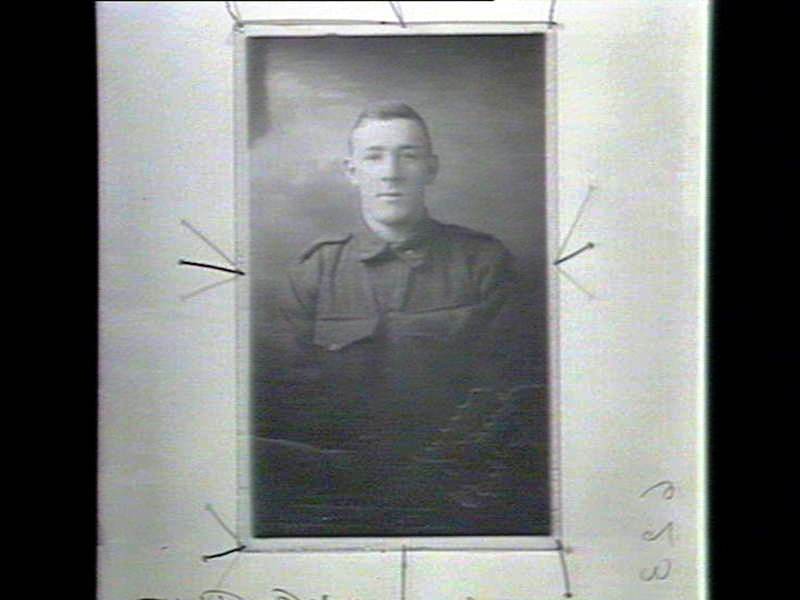 19 year old “Billy” as he was best known, attended Paddington Public school and later became a carpenter and was already actively serving in the 5th Field engineers prior to enlistment. 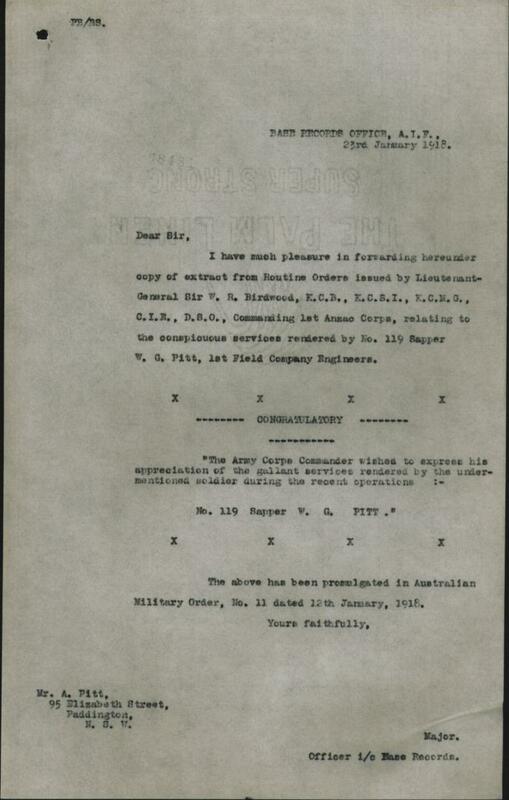 “Billy” Pitt gave his account of the landing and the work accomplished by the engineers from a Cairo hospital in a letter to his parents in Paddington, NSW, it was later published………..
As Billy hoped, he did return to the firing line and returned to Gallipoli nearly seven weeks later. After a further six weeks at Gallipoli, suffering with Dysentery he was again admitted to hospital, only to recover and return yet again to Gallipoli and then remained until the company was finally evacuated in December. Billy was young and resilient and each time he was sent away sick from what he described the “firing line”, he obviously couldn’t wait to get back with his mates. Still with the 1st FCE, he proceeded from Alexandria to join the British Expeditionary Force on 21st March 1916 and disembarked at Marseilles, 28 March 1916, and the company gradually made its way towards the Western Front. It was on 20th September 1917 he was appointed Lance Corporal, the following day, the men of the 1st FCE we thrown into the maelstrom of the front line. At Polygon Wood the 1st FCE were now well and truly on the front lines and engaged heavily in support of the infantry. Lance Corporal 174 Everleigh Edward Hodges was in charge of a party engaged in digging communications in the immediate vicinity of the front line, he was later awarded the Military Medal for his actions. Sergeant 18 Reginald Dobbie was the senior N.C.O of a section of Sappers also engaged making up communications in the immediate rear of the front line. 128 Wilfred “Bill” Batten had successfully completed and wired a strong point under heavy fire. During a counter attack he got in touch with the troops on his left, and kept up communications at great personal risk. He set a magnificent example to his section and was awarded DCM for his actions on this day. At dusk on this day both Sgt Arthur Baldwin and Cpl James Hamilton were consolidating the position at a place known as Lane House Hooge, widening and deepening a sap from the supports to the front line which ran through the ruins of an old house. They were in a trench together when a shell came over and blew them up. They were both killed instantly. Billy Pitt was recommended for a Military Medal for conspicuous courage, devotion to duty and valuable services as a runner. The full citation was as follows…………. The attack at Polygon Wood two weeks previous was a major stunt for the 1st FCE, with casualties and the loss of two originals, however October 4th would prove to be the most significant day in the history of the 1st Field Company Engineers, since the landing day at Gallipoli. It would see a tragic casualty rate, the loss of three more “originals” and the greatest number of citations and medals awarded for a single action, such was the significance of this single day. On the 4th of October the company helped to capture Passchendale Ridge. They followed the second wave of the Infantry and when the ridge was captured the company proceeded to consolidate the position by forming a strong point. At 1.30 in the afternoon a German aeroplane came over at a low altitude and had spied their position and turned back to inform the German batteries. The German batteries then opened fire and sent a salve into the company’s position on the ridge. During the attack upon the ridge the company was engaged in the construction of a strong point in the vicinity of the front line. Under heavy shell fire and harassed at the same time by snipers. The company broken into small groups worked tirelessly often retreating to safety from heavy bombardment and then returning to continue their work on the strong point. Shortly after the work was commenced the enemy secured several direct hits on the trench inflicting casualties. The men maintained their position while assisting the wounded, dressing their wounds and digging out those who were buried by the heavy shelling. During the whole day the position was constantly shelled and the men were considerably shaken, and fatigued but had successfully endured and successfully completed their work. Unfortunately two original’s sappers were killed on this day, 32 James Claude Nicholls, and 190 Jack Raymond Hollingworth and Billy Pitt was one of those severely wounded during the stunt and was carried back to the advance dressing station. 1891 Sapper F.Curry was also killed . Original sapper now Sergeant 128 Wilfred Batten DCM tells the story of Billy’s final hours correctly as he was with the company and wounded as well on this grim day. Wilfred was a close friend to many of the originals. He knew both Billy and his brother Henry very well. Further witness accounts were made to the inquiry into Billy’s death. After the court enquiry in March 1918 it was finally declared that Billy died of wounds received in action in the field. In 1920 Billy’s mother Elizabeth requested a cross for her son’s war grave, but there was still no evidence or mention of his burial. Sadly his mother had few memories or something to help bring some closure to the loss of her son Billy, no known burial and no personal effects to draw some comfort as his personal effects had been lost at sea while on board the ‘Barunga’ which had been sunk on its voyage back to Australia. 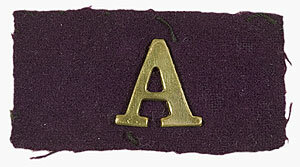 Billy’s mother, like so many other mothers and wives would have received the “Mother’s and Widow’s Badge” – see below. 119 William George Pitt’s name is located at panel 24 in the Commemorative Area at the Australian War Memorial (as indicated by the poppy on the plan). 1.Brothers: 1757 Pte Henry James PITT, 20th Bn, returned to Australia, 11 January 1918; one other returned, to be identified. 2. 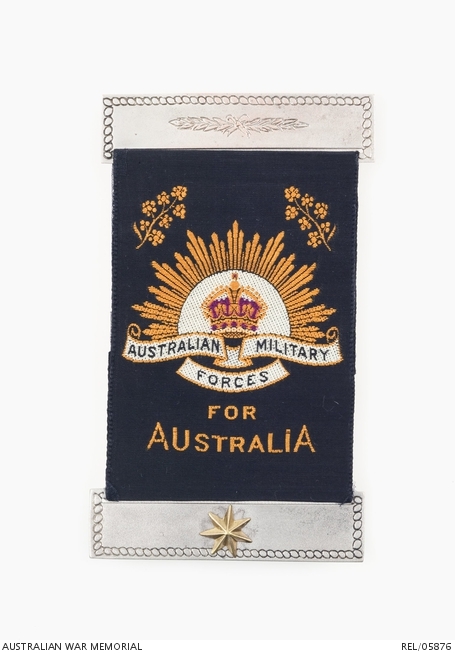 The First World War Mothers’ and Widows’ Badge was issued to the mother and/or widow of all members of the Australian Imperial Force (AIF) or the Australian Naval and Military Expeditionary Force who had been killed in action, died of wounds or other causes while on active service, or who, after discharge, had died of wounds or sickness directly attributable to that service.